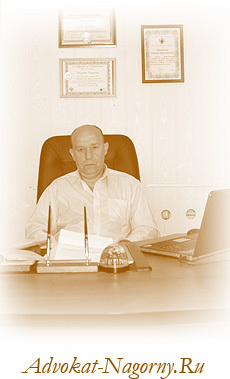 Since 1996 Evgeny Nagornyy specialises in advising businesses on Anti-Bribery&Corruption issues in Ukraine and Russia. He has conducted court cases regarding to officials' misusing and has represented his clients in investigative authorities on corruption cases. These have involved collecting, reviewing, analyse amounts of data relating to misuse of municipal and investigating officers. Since 2010 Evgeny Nagornyy is a member of the IBA Anti-Corruption Committee, he participated at the Workshop "Risks and Threats of Corruption and the Legal Profession" organising by the IBA, OECD and UNODC in cooperation with the Russian Ministry of Justice on the 17 April 2012.
suitable representation before local authorities and investigative agencies. Anti-corruption rhetoric against the ageless system of bribery of public officials. new! What is compliance features in Russia? Some traits of compliance approach for foreign business. The Leap from Laggard to Leader, Would It Be Successful? Anti-Corruption Advising and Compliance in Russia. Compliance services to foreign investors.